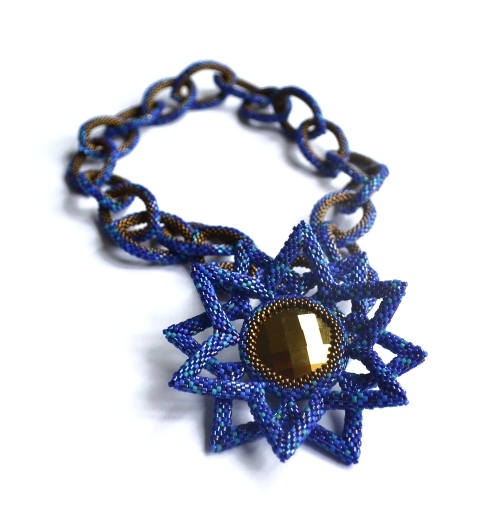 Update: Instructions for this necklace are available here. 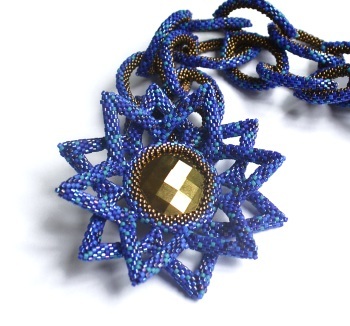 My last project as one of Beadwork magazine's 2012 Designers of the Year. 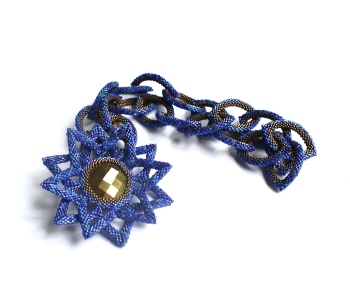 This Lotus necklace, which features a pendant which can also be worn as a brooch, a hidden clasp and a beaded chain is possibly my favourite ever project. From the second I began this I fell in love with it.